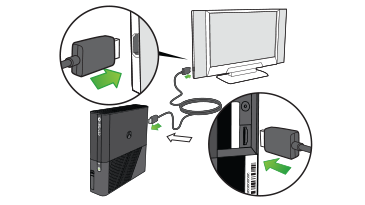 This page describes the Xbox 360 HDMI Cable, which is compatible with the Xbox 360 E console. Note HDMI cables that are not produced by Microsoft will also work with an HDMI-equipped Xbox 360 console. Would you like to contact Support regarding the "Description of the Xbox 360 HDMI Cable" issue you were reading about or a different issue?